Chinese New Years is right around the corner and it turns out that a lot of games are doing Chinese New Years events in celebration. Games like Overwatch, League of Legends, World of Warcraft, and more! A majority of the content will have a combination of either gold, red, black, or Jade because of the cultural significance behind them. Long ago in chinese history, Gold was not only set as a standard of currency, but it was also a symbol of completeness, wealth, and godliness. Red usually goes hand in hand with Gold in that it also represents good luck, joy, and happiness. Black is usually represented by conservation, immortality, knowledge, and power. Many games incorporate these colors into their Chinese New Years events and sometimes are symbolized in one way or another. Jade is important in Chinese culture because it was something that was so valuable that those that had it were either royalty, sellers, or thieves. There’s a saying in Chinese culture that basically says “You can put a price on gold, but you can’t put a price on Jade.” It’s character in Chinese is almost the exact same as the character for “King”, except for a small dash to differentiate the two. 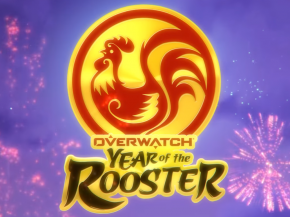 Overwatch stunned crowds with the release of the Year of the Rooster event with the reveal of new skins for over half of the cast, new Chinese New Years inspired victory poses, sprays, emotes, highlight intros, and a new capture-the-flag game mode! Skins, the usual highlight of any Overwatch event, is colorful and vibrant as their trailer. Almost all of the skins that have come out for the Year of the Rooster event have some sort of correlation with Chinese culture. Mei has a skin titled “Chang’e” which is in reference to the Chinese Goddess of the moon which is why she’s in colors such as white, purple, and jade. Reinhardt’s skin, “Wujing” is based off of one of the three disciples of the Buddhist pilgrim Xuanzang. It was told that he was originally a general in Heaven. Winston, being the primate that he is, got a sking titled Wukong. Sun WuKong was known as the ‘Monkey King’ who had mystical powers through Taoist practices. Roadhog has a skin named “Bajie” Zhu Bajie was a terrible monster that was part man and part pig. Zenyatta’s skin is called “Sanzang”. Sanzang or Xuanzang was a Chinese Buddhist monk who had taken a 17 year journey to India, recording his journey in detail in the classic Chinese text Great Tang Records on the Western Regions. Bastion’s new skin is called “Rooster”. Since it is the Year of the Rooster, Bastion’s bird companion, Ganymede, has been transformed into a Rooster! Symmetra’s skin is based around the one piece dress called the “Qipao”, named accordingly. In the skin, she’s wearing the Qipao. D.Va’s skin is called “Palanquin” which is also the name of the carriages that royalty are carried. Rightfully so, D.Va is dressed in a royal-ish outfit and her mech is outfitted in a wooden structure as to match those of the Palanquin. Personally, Overwatch is a game that I haven’t played in several months, but that’s just because I haven’t had the time. Back when I played, my mains were Roadhog, Hanzo, and Soldier 76. I’m glad to see that at least one of my mains is getting a skin! 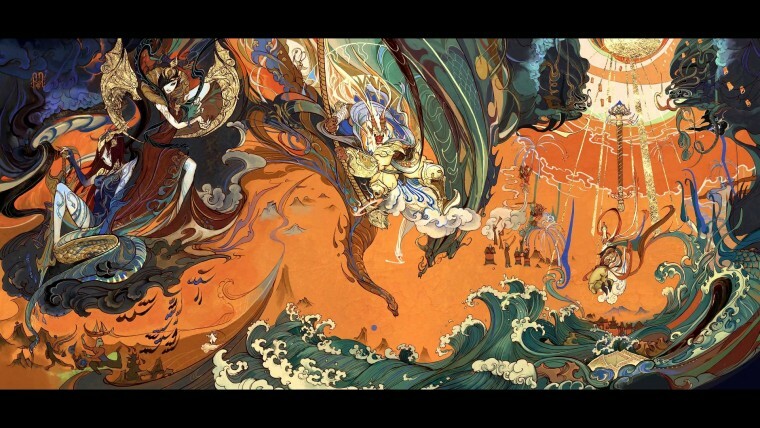 League of Legends is having their Lunar Revel event that has been running annually since 2012. This year, they’re celebrating with the release of skins for Garen, Azir, and Vi. Although Riot did 3 skins, there was a lot of work put into it. The skins not only add a different look to their character, but they also have unique animations, particle effects and more. All of these skins are in reference to some sort of Chinese Culture in some sort of way. The three skins all have a combination of Red, White, Gold, and Jade. It doesn’t seem that the skins are based off of anything in particular, but they still look fantastic. These skins are currently going on sale for 1350 Riot Points and are seasonal, so get them while you can! However you’re spending Chinese New Years, whether it be inside playing video games or huddled around family eating moon cake, I hope this year is especially lucky for anyone out there.